Behnaz Farahi is an architect and design passionate by the potential of interactions between a subject and his environment. Her work is focused on the implementation of new technologies in the field of art and architecture. Her goal is to create a directe relationship between the human body and the material world, thanks to robotic. 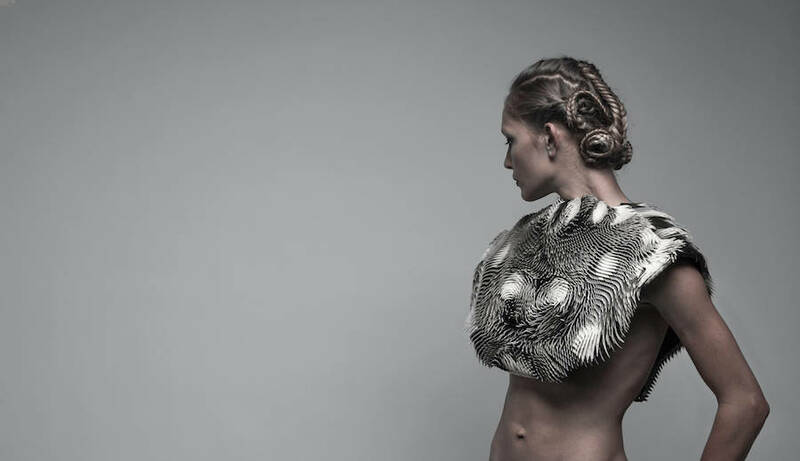 Caress of the Gaze is an interactive top that she designed with the help of Autodesk, PIER9 and MADWORKSHOP, and that animates when it detects the gaze of someone. Cinematographers: Charlie Nordstrom, Elena Kulikova. Models: Alexis Hutt, Gabriel Patin. Hair/Make Up Artist: Grace Garlough. Coding Consultant: Sebastian Morales Prado.